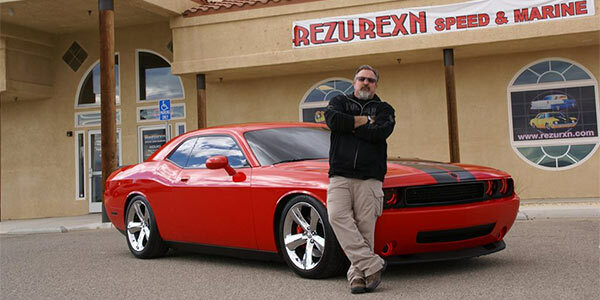 Locally owned and operated, Rezurxn Speed and Marine—located in Hesperia, C—will meet all of your racing engine and performance tuning needs. Whether on land or sea, we’ll outfit you with the components or ready-to-purchase, custom-designed late model engines you need to fulfill your need for speed. Whether it’s the thrill of speed or the dynamic function of it all, owning a car or boat that has a custom engine or performance-modified parts under the hood means piloting a vehicle that’s built to impress. At Rezurxn Speed and Marine, creating custom performance engines and providing the very best in performance accessories in Hesperia, CA is what we’re all about—we’re here to provide you with the resources you need to not only impress the competition, but to leave them in your dust. Whether you’re racing down the strip or cutting through the waves, Rezurxn Speed and Marine has the products, expertise and capabilities to make sure you’re doing so with top-tier performance capabilities. At Rezurxn Speed and Marine, there’s no limit to our capabilities when it comes to customizing and modifying your engine, and we’re pleased to offer everything from custom-built racing engines to individual high performance parts in Hesperia, CA. We can also undertake a variety of essential peripheral services, including custom rim modification for cars and boat repair, to keep your vehicle in top performance condition. Come to us for only the best in quality products and unsurpassed expertise—we’re certain you’ll see why Rezurxn Speed and Marine has quickly become the foremost authority on all things performance and racing. We carry only top name brand auto and marine parts in Hesperia, CA. Our custom builds and performance expertise have been featured in magazines worldwide. We have thousands of performance parts in stock and are happy to help you find what you’re looking for. Our expertise regarding auto and marine racing engines is unsurpassed!